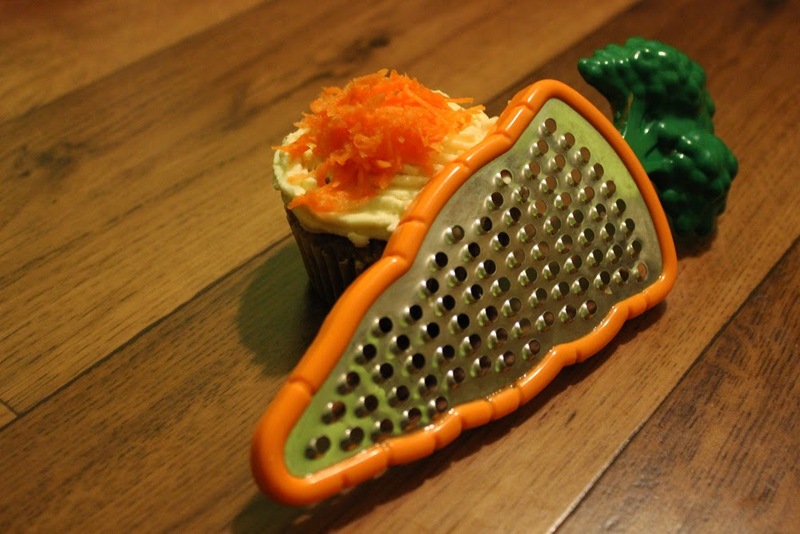 Love Your Ego: EGOeats: Easy Breezy Carrot Cupcakes! EGOeats: Easy Breezy Carrot Cupcakes! Hi Egos, today I really want to share these cupcakes with you. 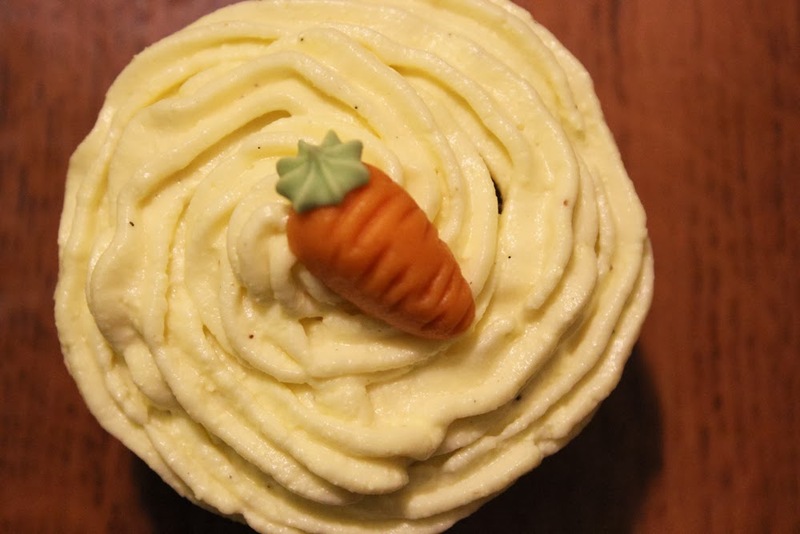 Have you ever had carrot cupcakes? Or just plain carrot cake? For some reason that always sounded wrong to me because I thought carrots do not belong in desserts but I've had carrot cake when I was still in preschool and loved it ever since. There are a lot of things you can do wrong when it comes to carrot desserts because you don't want them to taste too much like carrots but you also don't want to loose their flavour at all. So here's a little recipe I tried today. Start by peeling and shredding the carrots. Mix the sugar, flour, baking powder, baking soda and cinnamon. Then mix the eggs and the oil seperately. Now add the carrots and the egg-oil-mixture to the dry ingredients. Prepare your baking pan. I have one especially for cupcakes so I only had to put the muffin paper in them. If you don't have a pan like that make sure that your muffin paper is firm enough. Like that your cupcakes will at least look like cupcakes :D Divide the mixture and then put the whole thing in the oven for about 20 minutes in 160 °C. Meanwhile you can prepare the icing already. For that you just need to stir the butter (it should have room temperature). Add the cream cheese until they're well blended. Add the icing sugar and vanilla extract. Once your cupcakes are down, leave them in the opened oven for about 5 more minutes. Like that they won't shrink too much. Then take them out and add the icing. If you want to spice them up a little you can put shredded carrots on top or these tiny marzipan carrots that I found in my grocery store. My New Apartment: Things I like And Don't Like! EGOutfit: Welcome To The Dark Side! EGOeats: Time For Apple Pie! EGOtalk: A little Party Never Killed Nobody!